This outstanding Deluxe graduation package is offered by Gradshop to accommodate your graduation ceremony requirements for a memorable day. 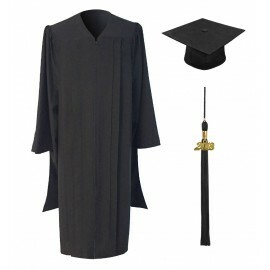 The master's packs includes the elegant classic fluted academic master gown in deluxe fabric with two beautiful front pleats, a graduation master's degree cap with durable fexibility at head rim for a snug and comfortable fit. You have an option to choose the color tassel of your choice to customize your academic requirements and each master's degree tassel includes a currant year signet. 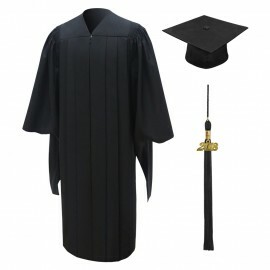 The Deluxe Master's degree Black Gown, Cap and Tassel package is sure to be the perfect Graduation attire. We suggest you view the premium academic master's degree hood to complete your outfit. We offer unbelievably affordable prices and great delivery options when shopping at Gradshop!